Have you ever struggled with getting the best from your employees? If you have spent even minimal time managing people, your answer is probably going to be 'yes.' Managers often struggle with getting their employees to give their best or to punch above their weight. This topic has been a focus of many dissertations, books, and pundit advice sessions. Among the multitude of reasons why managers struggle with their employees, I submit one of the most critical: most managers lack capabilities to leverage their employee's ideas. 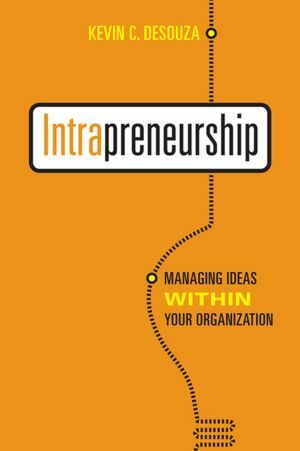 Based on my research and consulting with over 30 global organizations (see Intrapreneurship: Managing Ideas Within Your Organization), here are five simple good habits to internalize , if you want to get the best from your employees and their talent. First, design an idea-friendly environment for your employees. Second, be an advocate for your employee's ideas. Third, connect your employee to networks that can harness their ideas. Fourth, collaborate with your employees on experimenting with their ideas. Fifth, mobilize your networks to support the diffusion of your employee's ideas and expertise. P.S. This is an excerpt of an article that I am writing for a magazine. For more details, send me an email.